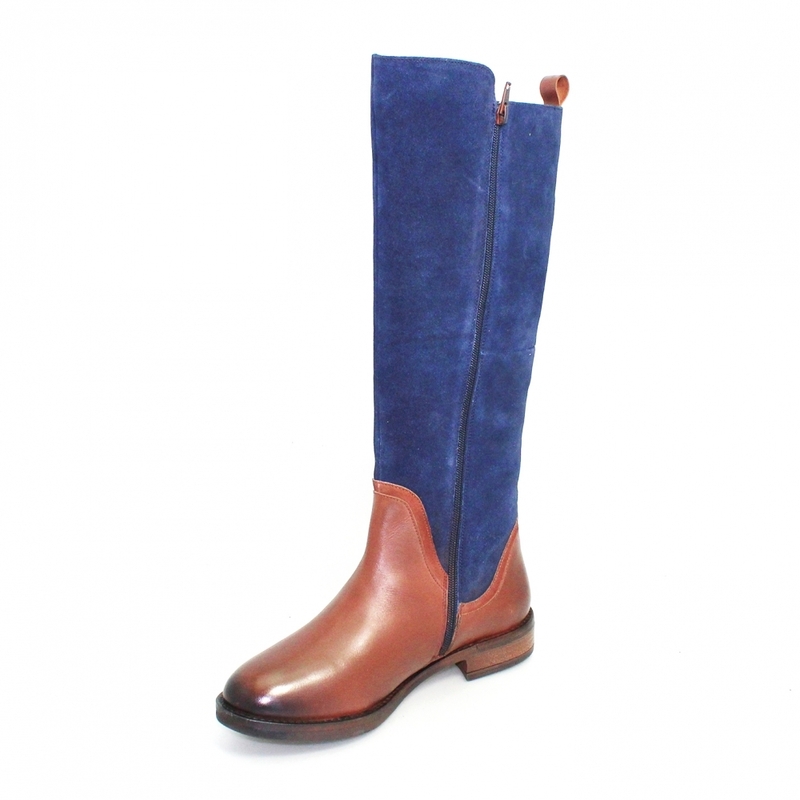 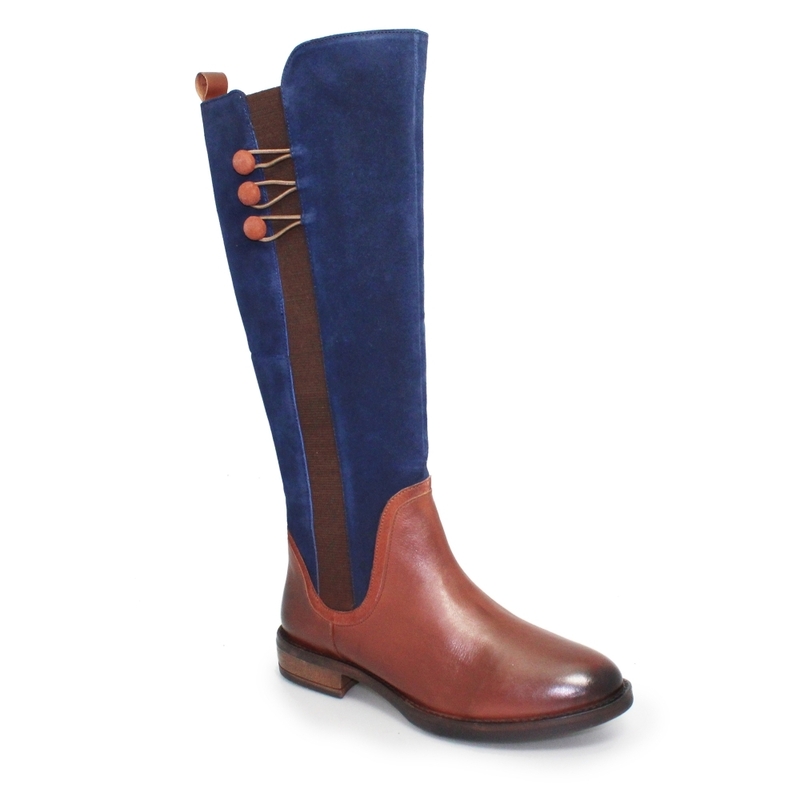 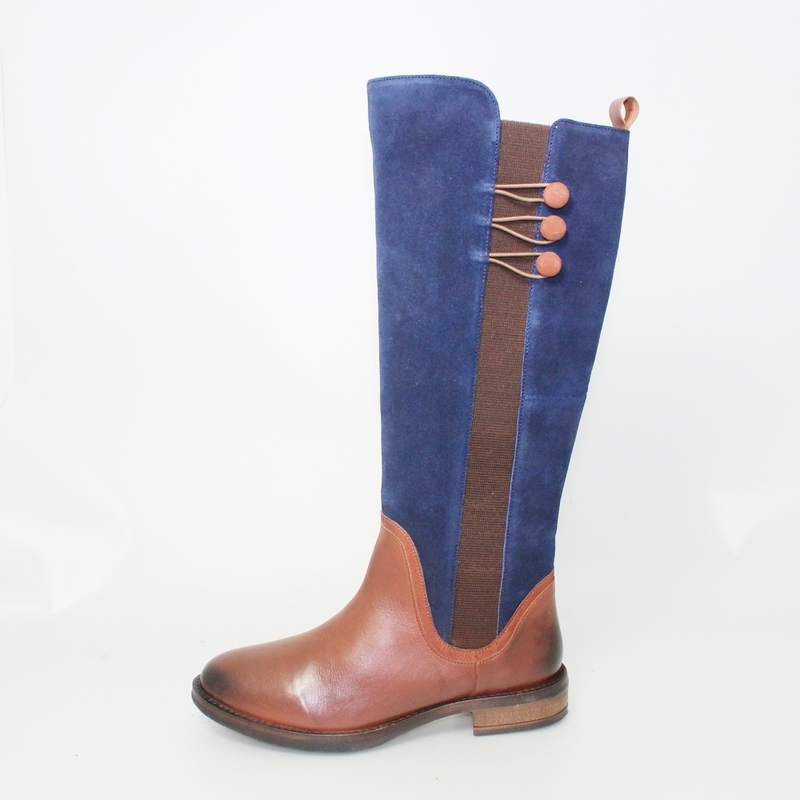 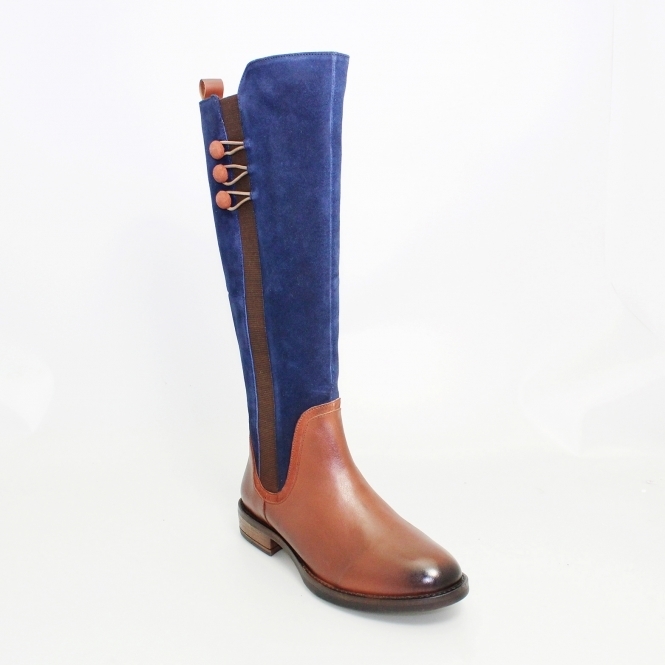 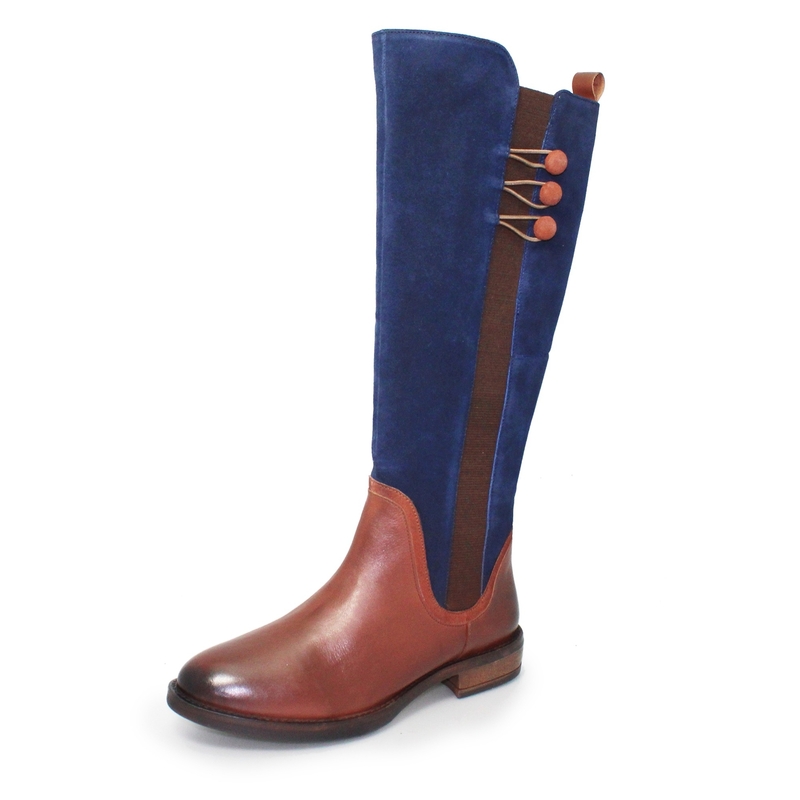 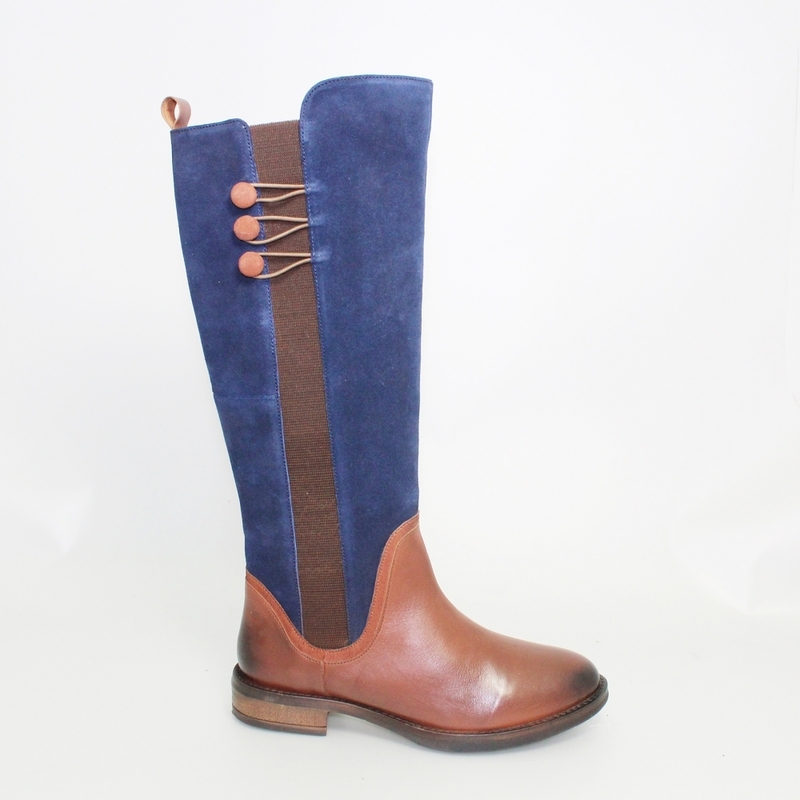 The Aileen long length boot is made from leather for that robust yet comfortable experience, the bottom half of the boot being waterproof will keep your feet dry and warm, while the stylish Navy Blue upper half has been designed with a long length elasticated gusset designed to stretch when putting the boot on or taking it off. Casual and trendy a long boot is always a good option for winter. 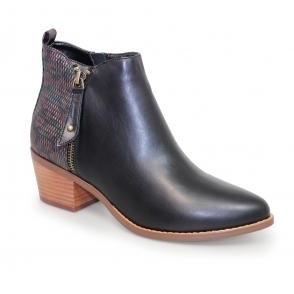 Jeans and a peplum top scream winter wear.